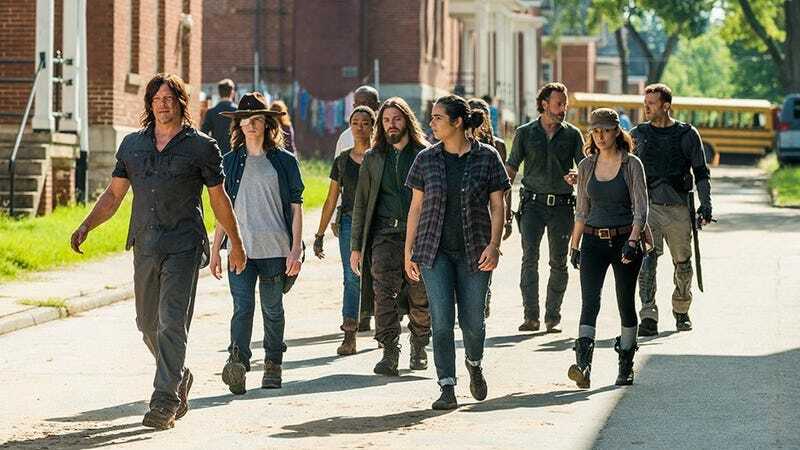 Production was halted yesterday on season eight of The Walking Dead following serious injuries to John Bernecker. Bernecker has since passed away. As first reported by ComicBook.com, and confirmed by Deadline and TMZ, Bernecker succumbed to the head injuries he received from the fall, passing away last night. Bernecker has an extensive resume on imdb which includes stunts for Black Panther, Logan, The Hunger Games, and Looper. Sources told Deadline that Bernecker’s injuries were the result of a 30-foot fall to a concrete floor while “rehearsing a fight scene that was supposed to end with a routine fall from a balcony.” Bernecker was rushed to the hospital yesterday and AMC halted production following the accident. There is no word on when production might resume. We’ve reached out to AMC and will update if we hear back. Update: The Occupational Safety and Health Administration has opened an investigation into Bernecker’s death. EW confirmed the investigation and was informed by an OSHA spokesperson that the investigation must be completed in six months at the latest. Update, Sat/15, 12:38pm: AMC and The Walking Dead showrunner Scott M. Gimple have both released statements on Bernecker’s death.